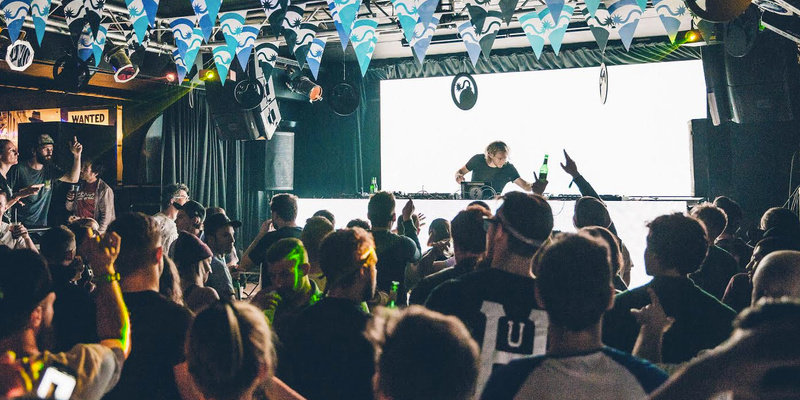 James Zabiela just can't keep away from Snowbombing. Next April the house DJ and producer will be back on the slopes of Mayrhofen alongside Chase & Status, Giggs and MK. Looking ahead to his return, we caught up with the man himself to find out more about his love of snowboarding, the Mayrhofen slopes, and why Snowbombing is the perfect place to match music and sport. How would you describe a typical James Zabiela set in three words? You’re a keen snowboarder – when did you first get into the sport? It must be over 15 years ago, a good friend of mine took me to Ped Pod Sněžkou in the Czech Republic where I held a monthly residency at the time. I say ‘friend’ because as good friends do, he pushed me down the mountain like a mother bird pushes a baby bird out of a tree who hasn't yet learnt how to fly. I hated it! But I hated the fact that I couldn't do it more, so I persevered and it actually took me a few boarding trips before I really started to enjoy Snowboarding. Now I'm absolutely fanatical about it. As two creative forms of output, do you find any cross-over in terms of experience of music and sport, or are they very distinct spheres of life for you? Well obviously at Snowbombing they become synonymous with each other, to the point where I would say I meet more creatives and artists there than at any music conference such as ADE or WMC because I always attend for the whole week. For me two things do feed each other though, if I go away boarding for a week I come back feeling refreshed and reenergised for music. Snowbombing is a rare occasion where my two passions meet. You’ve played at Snowbombing a few times now. How would you describe the atmosphere? (On stage and off it). Because of the layout of the town of Mayrhofen, it's central street you have to repeatedly walk up and down is where you'll bump into absolutely everyone. Artists and punters altogether on holiday, I think a lot of the DJs play their most 'fun’ sets at Snowbombing. For this reason the atmosphere is fantastic. Honestly, it's the highlight of my year every time. I also go to Maryhofen outside of Snowbombing. I have a real attachment to the place now. I spent last Christmas there, in fact. 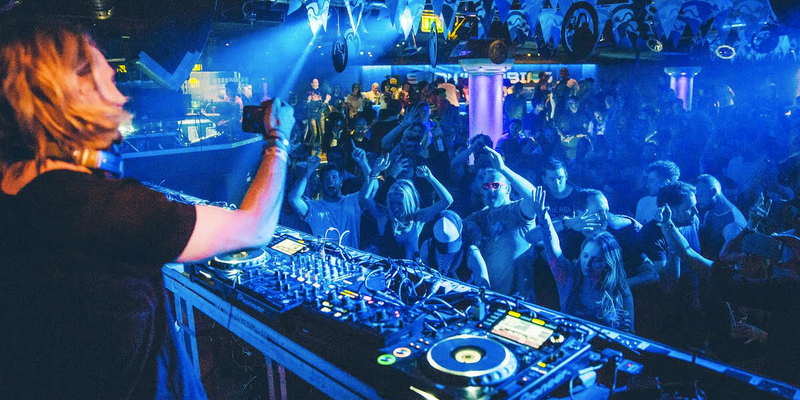 Do you have any stand-out memories from the festival, either from the parties or from the slopes at Mayrhofen? The first time I played in the Igloo is an obvious answer but each year I make new ones. A couple of years back I played at the 50 Weapons party, one of my favourite record labels run by Modeselektor, so that was pretty special for me. One year I got to ride with Swedish Pro boarder Chris Sorman and have even been paragliding there which you can do from the top of mountain down into the town. How do you rate the runs and snow at the resort? The runs are really varied and super fun, I've come to know them like the back of my hand almost. I've been there when the snow has been amazing and when it's not so great. In which case, you can always take a bus to the Hintertux glacier just up the road where you can ski all year round. Because it's quite a high resort and it's machine groomed you can always guarantee some fun if you make it up the mountain, and when the sun is out the views are astonishing. What do you think are the most important elements for a music festival at a ski resort to get right? 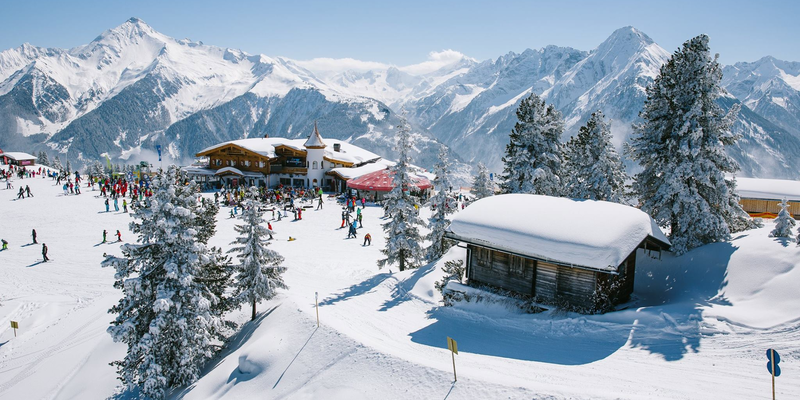 What makes Snowbombing stand out is the loyal clientele who like me, are fanatical about the festival and the varied and diverse musical lineup that sets it apart from almost all Ski resort festivals. And what do you think 2017 has in store for you? I'll be releasing some music of my own which after a long, long break has been making me nervous of late, but I'm equally as excited to finally get some stuff out there. James Zabiela will be appearing at Snowbombing 2017 alongside Chase & Status, Giggs, MK and more. The festival takes place from 3-8th April 2017. Find out more on our guide, and book your tickets and packages here.